Germany's Julia Goerges celebrates after her victory over Russia's Daria Kasatkina in the Kremlin Cup in Moscow, on October 21, 2017. 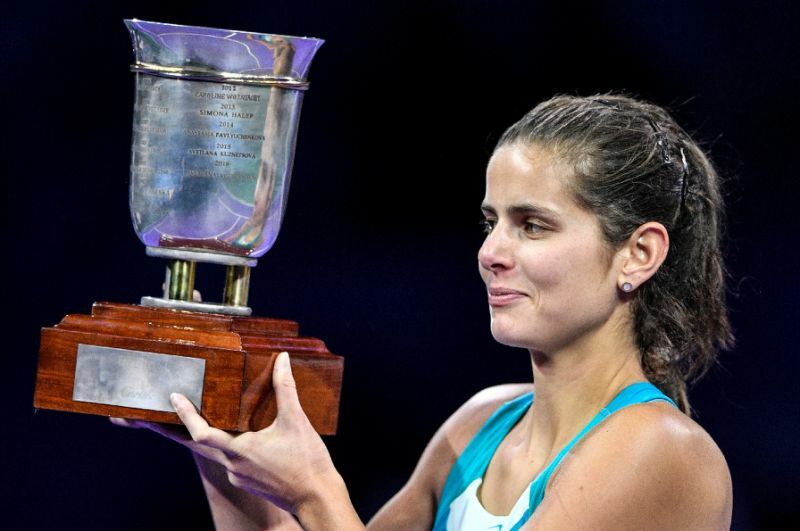 Germany's Julia Goerges clinched a career third WTA title with a straight-sets romp over Daria Kasatkina of Russia in the final of the Kremlin Cup on Saturday. The seventh-seeded German prevailed 6-1, 6-2 in one hour six minutes to chalk up her third victory over the 20-year-old Kasatkina in their fifth head-to-head meeting.